cyberaditya: Why to Blog ? Blogging helps to to express all your thoughts and opinions with public. Many blogs helps people in there problems and acts as a social worker. Some works as a technology helper or some may act as a health related problem solver. Blogs are wonderful tools to help bloggers establish themselves as experts in a field or topic. For example, if you're trying to get a job in a specific field or hoping to publish a book on a specific topic, blogging can help legitimize your expertise and expand your online presence and platform. Blogging brings like-minded people together. Starting a blog can help you find those people and share your opinions and thoughts.And this really helped me a lot because i get to know many famous people through Blogging. 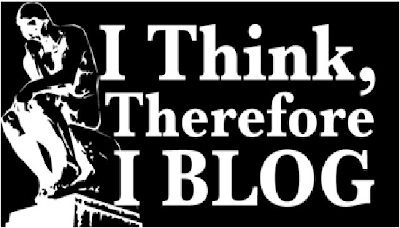 Blogging helps you to stay active and Knowledgeable in whichever field you blog it makes your presence in online cyber world. Many people start a blog simply for fun like me. Perhaps a blogger is a fan of a particular technology, film industry, sports, etc..